Aggieland Country School is the oldest existing Montessori school in the Bryan-College Station area. It has served the community and been a member of the American Montessori Society since 1984. The school is home to two primary classrooms for 3-6 year old children, and an elementary classroom for 6-9 and 9-12 year old children. As of fall 2019, we will aso welcome a new 18 month - 3 year classroom! Our classrooms are equipped with the latest materials and curriculum recommended by AMS, and lovingly taught by a very experienced and well educated faculty. 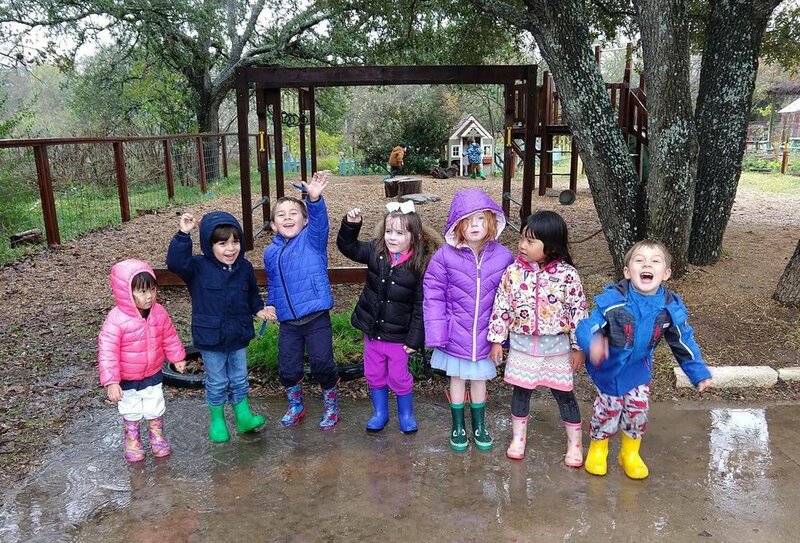 In addition to their work with the Montessori studies, Aggieland Country School students are immersed in studies of French, Spanish, music, and drama. The school is located on three acres allowing children to enjoy nature walks, gardening, and chasing chickens- thereby, giving life to their academic studies of nature. In these classrooms, the child is free to move about the room at will, to talk with other children, and to work with any equipment. The child enters this classroom excited about the new academic challenges, the greater responsibility he feels for his environment and the people in it, and his curiosity about the larger world.